Flateyri has been a trading post since 1792 and saw its heyday in the 19th century when it was home to a fleet of decked vessels and the base for shark-hunting and whaling operations. 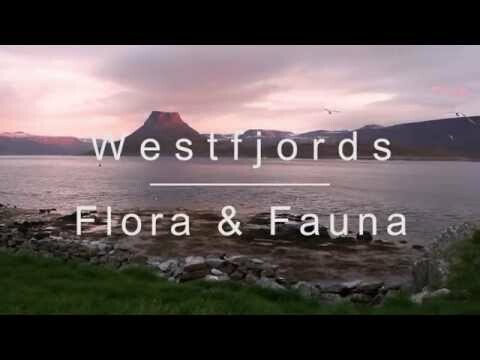 The fishing industry has always been vital for the villages in the Westfjords, and in Flateyri the tradition of fishing has successfully been linked to tourism as the village has become a very popular destination for foreign sea anglers. The fjord also offers great opportunities for kayaking. The old village bookshop has been turned into a museum where visitors can learn about the history of Flateyri while buying second hand books and visiting the old merchant's home. An international doll museum and the popular Nonsense Museum can also be found in Flateyri. Accommodation is available at the hostel or in self catering flats. A small shop, a restaurant/pub and a nice swimming pool with brand new outdoor hot-pots provide visitors with all the basic services. Across the fjord you will find a white, sandy beach. Although the sea might be colder for bathing than most people prefer, the sand is great for building sand castles. This beach is actually the venue for an annual sand castle competition which attracts hundreds of participants every year, children and adults alike. GPS Points N66° 3' 0.976" W23° 30' 46.205"
Önundarfjörður is a pretty fjord, even by Westfjords standards. This is partly due to Holt beach, which is a golden-sand beach and dune system which curls out into the fjord and is a bit like Spain for a few hot days of the year. The dunes are a protected eider duck nesting area. The Swimming pool in Flateyri is a perfect stop for the family. There are hot tubs, inside swimming pool, gym and sauna.